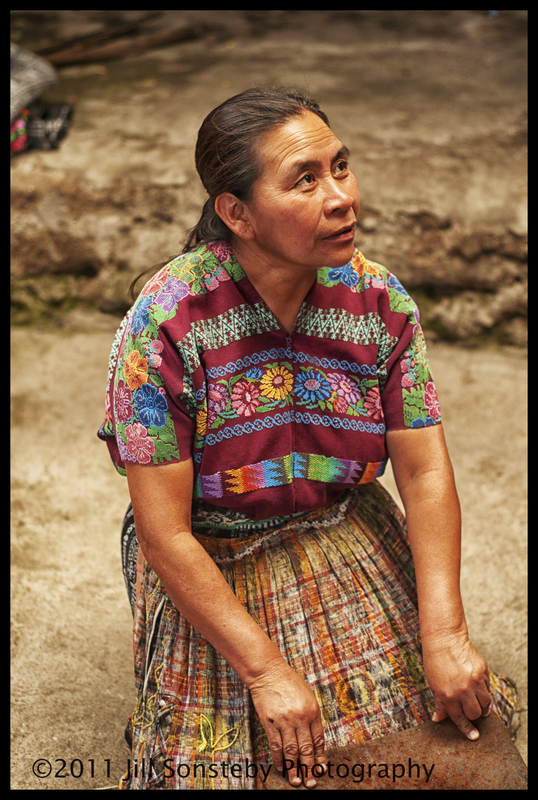 This beautiful Mayan woman is part of a community of women working to help their children get a better education in a little village in Guatemala. We spent a few hours in their community house as they showed us how they prepare food, make textiles, cook for everyone and then we could buy their beautiful goods. In this picture, she is demonstrating how they grind coffee on a stone slab with a stone rolling-pin. Hard working women! I love their textiles and would love to see some pics of those if you have them. I loved the way the stone grinding released the aroma of the coffee and the simplicity of the process. Yes, that aroma was divine!